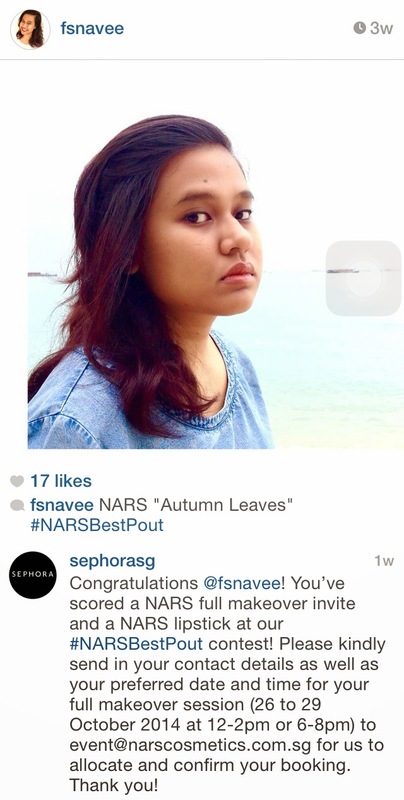 This is overdue news but way back in October, @SephoraSg held a contest calling NARS fans to send in their #NARSBestPout. I couldn't pass up an opportunity to add one more lipstick to my collection. Hahaha. Coincidentally, I was headed to the beach with Q's family so I had a great setting to toss out a few poses. Hahahaha. I'll admit, I was a wee bit embarrassed having Q take shots of me in from of them but hey, nothing comes easy right? Lo and behold! I was one of the 10 winners! Hahahahaha. 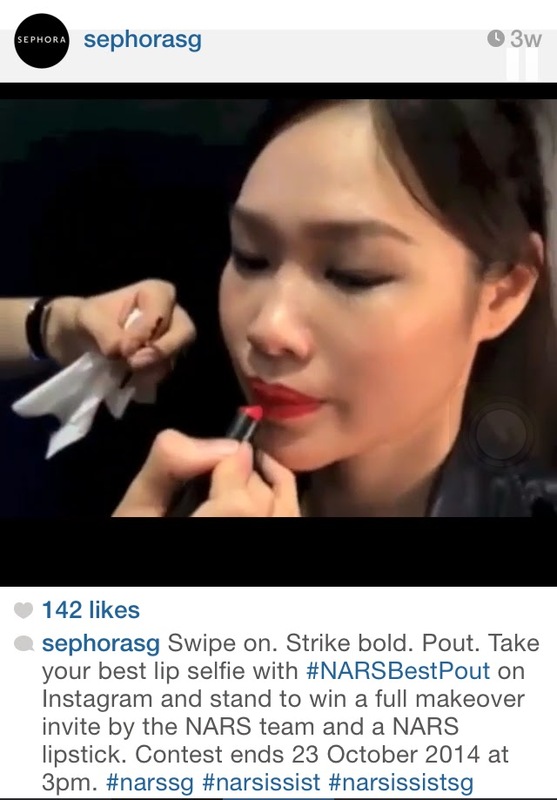 My session was at the NARS counter at Tangs Orchard and to be honest, the session didn't start off on the right note. For some reason, they weren't expecting me, which threw me off. There was two beauty assistants present. One of them seemed disinterested and told the other to do the makeover for me, in a way that made me feel like I wasn't worth her time. The lady who did my make up was nice though. I didn't catch her name but she was very informative, sharing with me what products she used on my face. I've been wanting to try out their foundation and creamy concealer, amongst other products, so it was great to find out the shades I was in for future reference. I felt bad for her though, her rude partner was on a "toilet break" twice for about 10 minutes each. Which was inconsiderate because that left the nice lady to juggle two tasks - doing my make up + attending to the other customers. At times, the lady had to put my session on hold for 5 minutes or so because the other customers needed help. Technically unprofessional but I knew it wasn't her fault, it was her douche colleague who kept making disappearing acts. The whole session, with breaks included, took about about 45 minutes. She didn't go too crazy with my make up because I told her I wanted to take my passport photo after. Hahahaha. It just so happened that my passport needed to be updated so what great luck I had! Heh. So yeah, my new passport photo with my new NARS Pure Matte Lipstick in Amsterdam. Update: Review now up here.